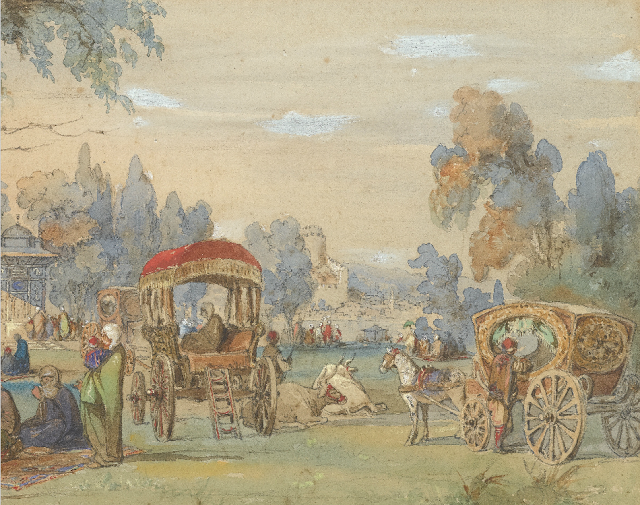 This painting has such a soft feel about it and reminds me of vintage postcards. 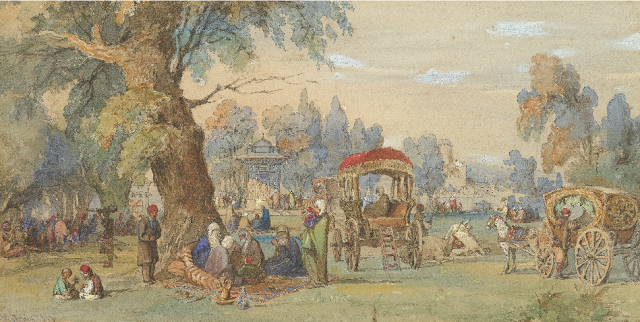 The artist has captured a family out on a picnic in a garden close to the Bosphorus. I find it interesting that the waterfront is kept in the same value tones as the grass area. 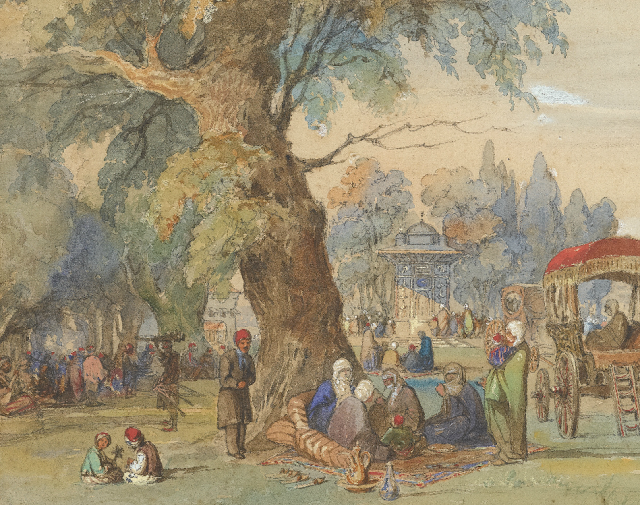 The similar tones make this a very calm and peaceful setting even though the scene itself is filled with people engaged in different activities.